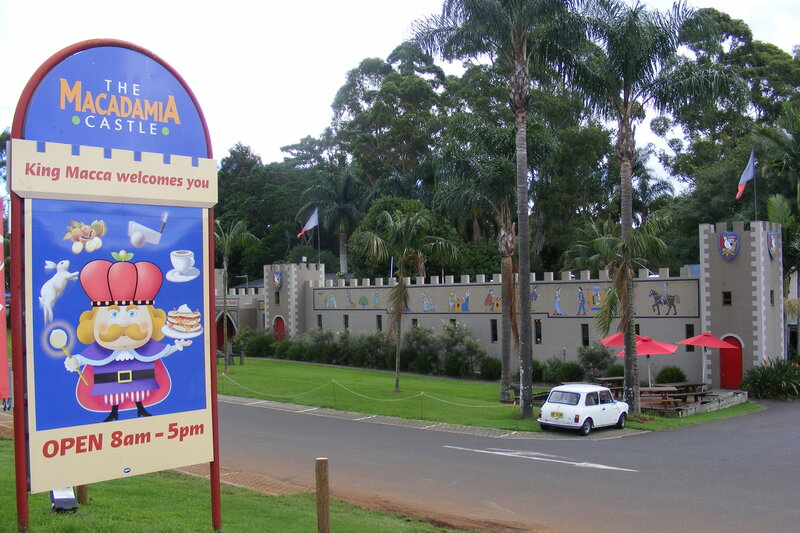 Note the sign – King Macca is juggling a rabbit along with his coffee, mini golf club and pancakes. Needless to say, they take rabbit petting pretty seriously around here and my attempts to make some light-hearted banter at the food counter were met with blank stares. Meeting Diesel the wombat – possibly named after the fumes drifting in off the highway – is also one of the regular events for the kidlets throughout the day, and mini golf is available at your leisure. Stressed out after spending too much time at Tropical Fruit World earlier in the day (there’s a phrase that you won’t hear very often), my stop at the Macadamia Castle was really a brief one to pick up an iced tea on the highway south. 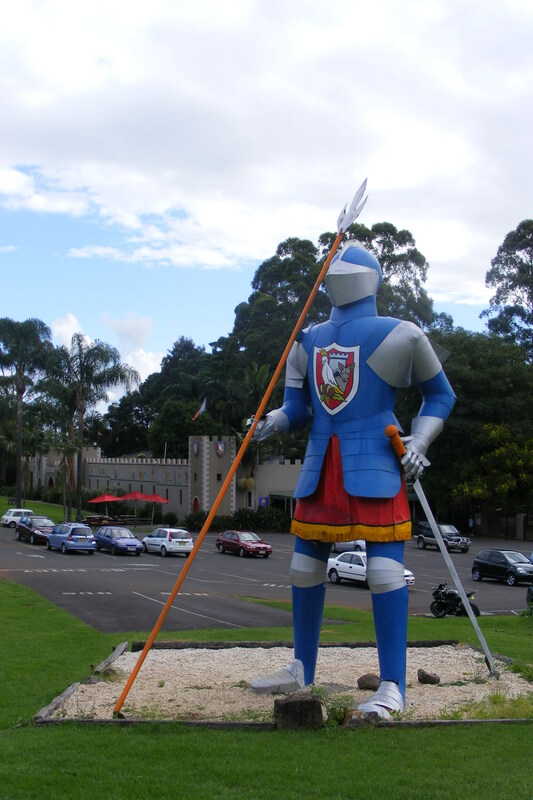 I have to say there was a pretty tangy blood-and-bone/manure style scent in the cafe, but I’m not ruling out that it could have been a little something I picked up on my shoes as I tramped the hillside taking a few snaps of the fibreglass knight standing guard at the entrance. As fibreglass highway knights go, this one’s not too bad – even if they have put a cockatoo and kangaroo on his coat of arms and made him stand in a sandpit. But is that silver duct tape that has been used to fix that pike to his palm? Bored families, tired drivers and rabbit petters unite! This may not be the absolute perfect 15-minute roadside attraction to break up the journey, but in the absence of anything else it will do nicely.